Why Should You Attend MarTech? Struggling to dismantle departmental silos? Searching for the right marketing technology? Looking for proven ways to boost ROI? 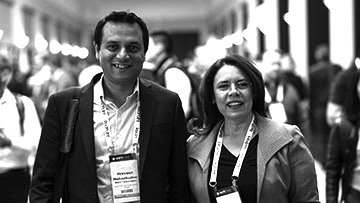 The MarTech® Conference is designed for you, the senior decision-maker working at the intersection of marketing, technology, and management. You'll find solutions to complex challenges. 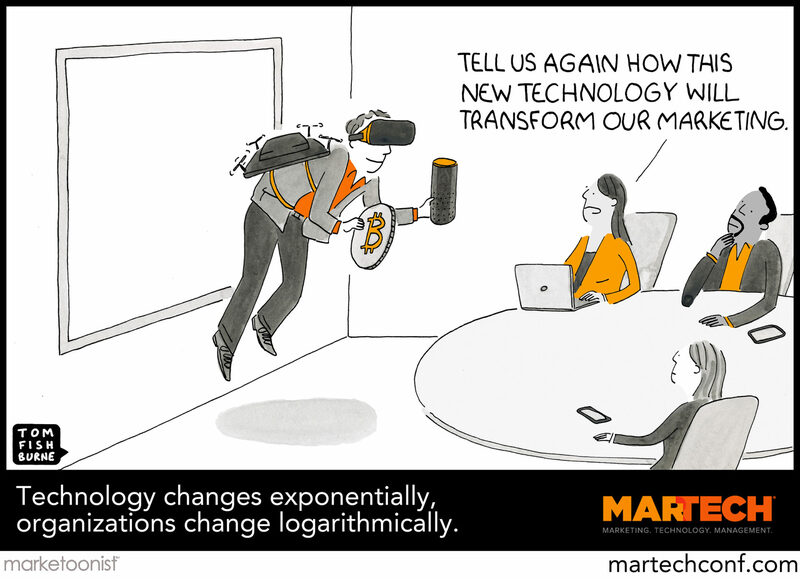 MarTech delivers the strategies you need to overcome everyday marketing obstacles. Whether you’re struggling to see results from your martech investments, unsure of how to leverage A.I., or need to overhaul your marketing ops team… we’ve got you covered. Senior-level marketers from the world’s leading brands are eager to share their experiences and insights on what’s worked (and what hasn’t). See the complete agenda. You'll be able to validate your initiatives. Knowing you’re on the right path can be difficult. The case studies and playbooks presented at MarTech will confirm what you know and help make your case back at the office. You'll skip the hard sells. MarTech is independent, unbiased, and vendor-agnostic. We don’t have axes to grind or sales targets to meet when it comes to any technology or platform. You'll find the right marketing technology for your company. Finding the right marketing technology for your company can be difficult (there are 7,000+ options to choose from!). Evaluate solutions from market-defining vendors by visiting them in the Expo Hall or attending their sessions in the Discover MarTech Theater and Solutions Track. You'll connect with future talent, clients, and friends. 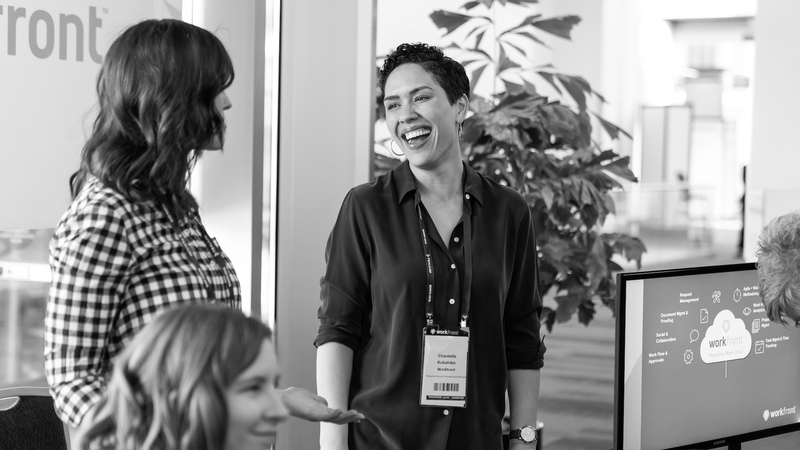 Structured and casual networking opportunities will connect you with a 2,000+ strong community of smart, engaged, passionate marketers eager to exchange ideas, experiences, and advice. Growing your professional network has never been easier. Your team has diverse backgrounds and skills -- getting everyone on the same page is essential. Attending together will unite your crew with a common experience and vocabulary, and provide the foundation for continued success. Bonus: The more you send, the more you save. Check out our special team rates! Attending MarTech is an investment both for you and your company. Two intense days of learning will leave you with specific insights and eye-opening concepts that will set you up for long-term success. Hungry for more? Add a half-day pre-conference workshop. "Ah ha” moments and forging valuable connections with peers is just the beginning. You’ll enjoy delicious breakfasts, hot lunches, and tasty snacks - and stay productive with complimentary WiFi throughout the entire conference space. We’re also dedicated to delivering a welcoming, safe, and friendly experience. All Access: Unlock the full program — all conference sessions and networking events, the Expo Hall, mobile app, hot meals, WiFi, and more. Expo+: More interested in meeting vendors and networking? Pick up a FREE Expo+ pass and enjoy unlimited access to our Expo Hall, full-length Solution Track sessions, sponsor presentations in the Discover MarTech theater, downloadable speaker presentations, refreshments, free WiFi, and more. Rates increase as we get closer to the event, so book early to secure the best price.